Dry hair is caused when external or internal factors strip away the protective layer of natural oils from the surface of the hair. Lack of natural oils in the hair leads to moisture loss and makes the hair dry, rough and brittle. 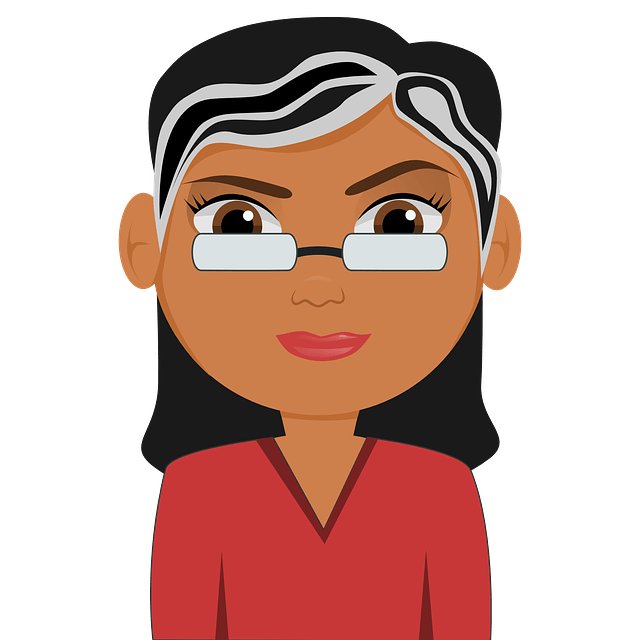 Dryness of hair can be caused due to excessively hot and dry weather, over-exposure to the sun, pollution, over-shampooing, or hormonal imbalance. 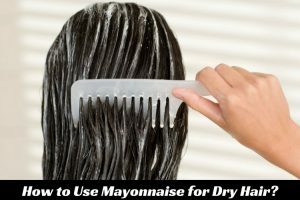 Natural ingredients such as mayonnaise can be used to treat this condition successfully and restore the natural moisture and shine to the hair. Is Mayonnaise Useful for Dry Hair? Mayonnaise contains eggs that supply a considerable amount of protein to the hair which helps to strengthen and rejuvenate dry and damaged hair. Lemon juice, vinegar and healthy fats present in mayonnaise lock the moisture in the hair shafts and prevent moisture loss. The amino acids in mayonnaise act as powerful antioxidants and prevent dryness of hair caused by sun exposure and pollution. Vinegar present in mayonnaise balances the pH of the scalp and hair to prevent it from being excessively dry or excessively oily. Full-fat mayonnaise contains the goodness of eggs, protein and healthy fats that act as the perfect natural conditioner for dry hair. Here let’s have a look at how to use them for treating dry hair. Full fat mayonnaise acts as a nourishing conditioner that helps to moisturize and hydrate the hair to prevent dryness. Take 3 to 4 tablespoons of full-fat mayonnaise in a bowl. Wet your hair and scalp with lukewarm water. Apply the mayonnaise all over your scalp and hair. Cover your hair with a shower cap. Leave it on for an hour and then rinse with lukewarm water and a mild shampoo. Repeat this method 2 to 3 times a week for a couple of weeks. Eggs are a rich source of protein that helps to strengthen the hair follicles and prevent hair breakage. Vitamin A in egg yolk boosts sebum production in the scalp that lubricates and moisturizes the hair. Healthy fatty acids in eggs moisturize the dry hair and closes the open cuticles. Break an egg in a bowl and whisk thoroughly using a fork. Add 2 tablespoons of mayonnaise to the egg and mix thoroughly using a spoon. Apply this mixture all over your damp scalp and hair. Put on a shower cap. Wait for an hour and then wash off with cold water and a mild shampoo. Follow this procedure 2 to 3 times a week. Vinegar acts as a natural conditioner that helps to smooth out dry hair, moisturize it and add an attractive shine to it. Add 2 tablespoons of vinegar to it and mix it with a spoon. Apply this mixture evenly all over your damp scalp and hair. Put on a shower cap and wait for 30 to 40 minutes. Follow this method 2 to 3 times a week until you notice the results. Vitamin E present in olive oil is a powerful antioxidant that repairs dry and damaged hair by sealing the open cuticles. Vitamin A present in olive oil retains keratin and moisture in the hair. Add 2 tablespoons of extra virgin olive oil to it and mix thoroughly using a spoon. Repeat this process 2 to 3 times a week for at least a month. Honey is a natural humectant that locks moisture in the hair shafts. The antioxidants in honey prevent dryness of hair caused by sun damage, pollution and dry air. Add 2 tablespoons of raw organic honey to it and mix thoroughly using a spoon. Healthy fatty acids such as lauric acid present in coconut oil readily penetrate into the hair follicles and supply intense moisture and hydration to the hair and scalp. The fatty acids bind to the proteins in hair and prevent breakage. Add 2 tablespoons of coconut oil to it and mix it using a spoon. Apply this mixture all over your wet hair and scalp. Put of a shower cap and wait for an hour. Lemon juice is loaded with vitamin C that strengthens and rejuvenates dry hair. It adds a natural shine to the hair. Lemon juice boosts blood circulation and oxygen supply to the scalp. Add the juice of 1 lemon to it and mix with a spoon. Put on a shower cap and wait for 30 minutes. Follow this process every other day for a few weeks. The monounsaturated fatty acids and natural oils in avocado form a protective layer over the hair strands and seal the open cuticles. Vitamin E and B-complex vitamins in avocado supply nourishment to the hair at cellular level and repairs dry and damaged hair. Mash the pulp using a fork. Add a tablespoon of mayonnaise to it and mix thoroughly. Apply this mixture evenly all over your wet scalp and hair. Bananas are a rich source of mineral potassium that moisturizes and rehydrates dry hair. The natural oils in banana prevents moisture loss from the hair while vitamin A present in banana balances sebum production in the scalp and prevent it from over-drying. Take an over-ripe banana and mash it with a fork. Add 2 tablespoons of mayonnaise to it and mix with a spoon. Rinse your hair properly under running water and then wash with a mild shampoo. The proteins and healthy fats present in full-fat milk act as a nourishing conditioner that helps to soften dry hair and make it more manageable. Add 2 tablespoons of full-fat milk to it and mix with a spoon. Repeat this remedy every other day for a week. Always choose mayonnaise that does not contain any chemicals or preservatives. Avoid mayonnaise that contains added flavourings, herbs and spices, it will add an unusual smell to your hair. Mayonnaise has a thick and greasy texture, so you might need to shampoo your hair several times to wash it off completely from your hair. The amount of mayonnaise you will need for the hair packs and masks depends on the length and thickness of your hair. You can add a few drops of essential oil to the hair packs to cover up the smell of the mayonnaise. Mayonnaise contains eggs, olive oil, vinegar, etc. So, those who are allergic to these ingredients should avoid using mayonnaise on their scalp and hair. Apply these hair treatments on damp hair and scalp. It makes it easier to spread the packs evenly all over the scalp and hair. Opt for hot oil massage using olive oil, coconut oil or almond oil 2 to 3 times a week. Use a mild organic shampoo that suits your hair type. Don’t forget to apply conditioner to your hair after shampooing. Always use cold water to wash your hair. Hot water strips away the natural oils from the hair and makes it dry. Limit the use of blow dryers and heated styling tools. Avoid using chemical-laden hair products and hair colors. Try out the mayonnaise remedies for dry hair and say hello to smooth, soft and shiny hair in no time. Do share your suggestions, remedies and tips with us in the comments section below. are these treatments good on dyed hair ?.